Category Archives for "Recent Articles"
When it comes to pregnancy, many women end up very uncomfortable. It can make normal, everyday things, seem challenging, especially when you get into the last trimester. One of the most difficult things for a pregnant body to do is sleep comfortably. That is why pregnancy pillows were created and most women say they are a lifesaver during the final months. 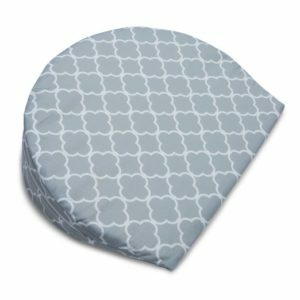 For that reason, and because there are so many pregnancy pillow options, we have searched for and found the top rated pregnancy pillow in the hopes that it will help you rest better before your baby arrives. 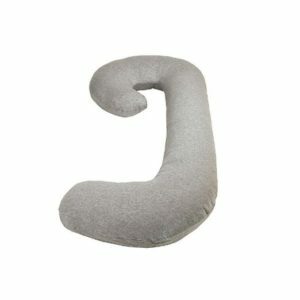 A pregnancy pillow is a type of pillow that has been designed to give you support where, and when, you need it the most. They are specially designed to ensure that your growing baby belly does not leave you tossing and turning during the night by supporting your belly, your back, or both. 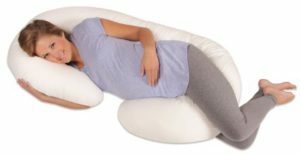 For some women, the Full Body pillow is an acceptable pregnancy pillow for them, but others benefit from the dedicated pregnancy pillows. This is because their body has specific needs that may not be addressed by body pillows. How Can Pregnancy Pillows Alleviate Pain? There are typically three types of pregnancy pillows. They include the wedge, the full-length body pillow, and the total body pillow. Each of these types will help you rest easier based on what your body, and your belly, need. This, in turn, can alleviate pain. For instance, most women are comfortable on their side when pregnant and in fact, it is recommended that you sleep on your left side in the third trimester. This may mean that your tummy pulls your spine into odd positions during the night and then you wake up feeling sore. A wedge placed under your stomach can lessen the pull that you feel on your spine and side. If you toss and turn frequently, a wedge under your back may also be beneficial at stopping you from rolling onto your back, where it may be difficult to breathe. The body pillow and full body pillows are also designed to give you support where you need it the most. Either one can work to stop one from tossing and turning. That is why we say that the best pregnancy body pillow should be the one that individual sleep issues. Can You Use Pregnancy Pillows After Pregnancy? 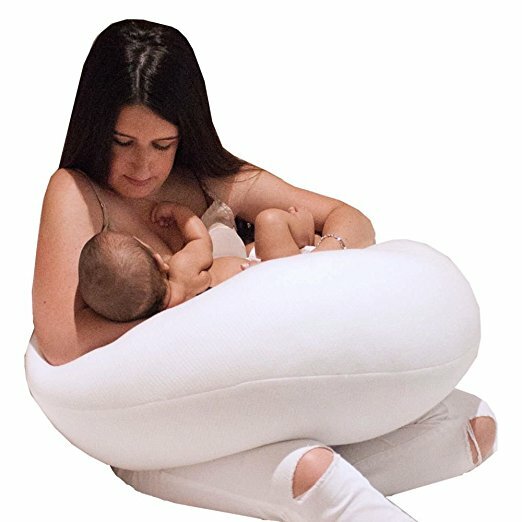 According to some of the maternity pillow reviews, you can use these pillows well after delivery. Many of them will give you a great support option for you and your infant during feedings, whether you are bottle feeding or nursing. They can also support your body while you sleep, whether you are pregnant or not. 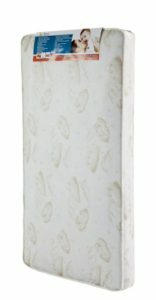 For more information and to help you see what types of pregnancy pillows are available, you should take a look at the following pregnancy body pillow reviews. They will tell you which pillow may enable you to sleep more peacefully both during and after pregnancy. 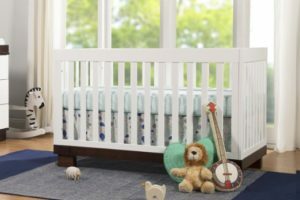 In the past, a crib was something that you needed to own when you had a newborn or infant, but they would often outgrow it before they were two. The truth is, they really aren’t useful once a child discovers that they can climb out. For some families, it is an expense they cannot necessarily afford, especially since they have to buy a new bed within two years. That is why convertible cribs were created and we are here to show you the best way to spend your hard earned money. 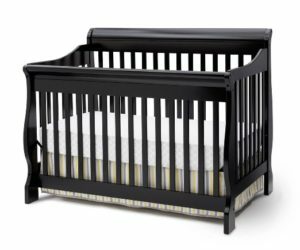 Are you ready to discover the best 4 in 1 convertible crib? 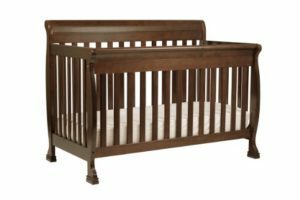 What is a Convertible Crib? 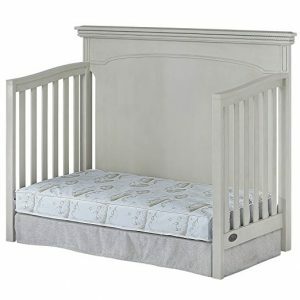 Convertible cribs are designed to be useful for much longer than the infant stage. They work well for keeping newborns and infants safe, but they are able to transform into a toddler bed or a daybed to adjust as your child grows. This helps budget-conscious parents buy furniture that they can use for several years rather than just the first years of their child’s life. This means that if you spend a little more on your crib so that you can own a convertible crib, you are still saving major amounts of money over time. 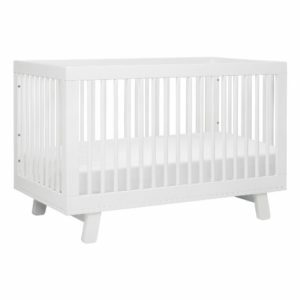 They are really cribs that will meet your growing baby’s needs for a long time. 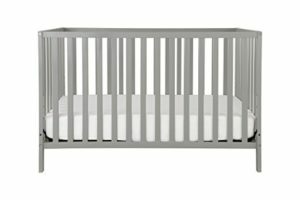 How Are Convertible Cribs Different from Travel Cribs? When looking for the best convertible crib, you may wonder what makes it better than a travel or portable crib style. Portable cribs are designed to be lightweight, foldable, and easy to move around. They are small and ideal for some. However, when it comes to portable cribs, your infant may not be as safe as you would like for them to be. Some are designed for toddlers and some make a playard as well as a sleeping area. The convertible crib, is larger, not as easy to move around in some cases, and safe for all age groups from infancy to young child. In other words, they fulfill a lot of needs for a lot of families, especially if you choose the best 4 in 1 convertible crib. For that reason, we are here to show you the top convertible cribs, according to parents who wanted more than a basic crib style for their infant. Here is where you can find our most favorite convertible crib options. They are all popular choices for parents and the little one’s who sleep in them. They are safe and usable for many years because of their ability to convert into the bed style that your child will need as they grow. You want a style that will fit into the nursery you hope to create, you want the right color, to know it is safe, and want to know that it will not be something you use for a short period of time and then toss away; after you spent a lot of money on it. For all of these reasons, the Babyletto brand of cribs were created. Is it everything you could want for your baby? 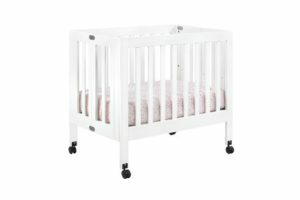 Check out our Babyletto crib reviews to find out. Babyletto is a company that creates baby and children’s furniture and they have been in business since 2010. 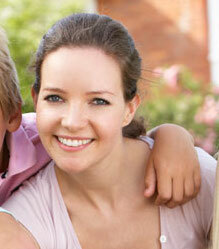 Their goal is to provide safe, affordable options for parents to choose from if they want an eco-friendly product. All furniture is made using renewable materials. 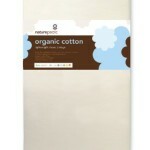 Their products are CARB II compliant and free of lead and phthalate. Even the packaging is made of recycled cardboard. The goal of the Babyletto company is to give you furniture options that will spark your creativity when it comes to designing a nursery. They also want to create a nursery space that you can use for many years as your child grows from infancy to toddlerhood and beyond. To help you understand more about this baby furniture company, take a look at the reviews below. If you want the best of the best, you may want to consider one of the cribs below. They are convertible and 100% usable. They are safe and ensure that you do not have to ever worry about your little one getting hurt in their crib. What more could you hope for? When you have a little one to care for, you will find that there is an insane amount of baby and toddler products available. It gets overwhelming for parents to try and figure out which products are the best, especially when it comes to mattresses. There are toddler mattresses, infant mattresses, organic mattresses, mattresses that are covered by waterproof material, and more. If that doesn’t make it hard enough to decide on, you also have different prices. 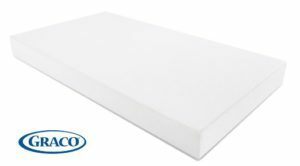 Is a cheap toddler mattress as good as a more expensive one? Can you really afford the more expensive options? 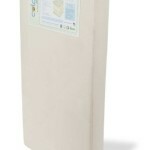 Our goal is to take the guesswork out of crib mattresses. 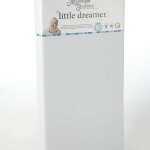 That is why we went in search of the best toddler mattress for cheap prices. One of the biggest reasons parents get confused is the label of toddler and infant mattresses. Is there really a difference between the two? The answer is, “Yes.” Infants need to be supported throughout the night. 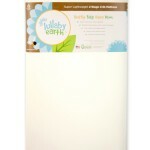 It has been proven that a baby will sleep safer on a firmer sleep surface. Many infant mattresses have very little padding so that you do not have to worry about them rolling in their sleep and being unable to breathe because of the mattress over their face. On the other hand, toddler mattresses are not as firm. Toddlers are beyond the risk of SIDS and more able to adjust the way they are lying. 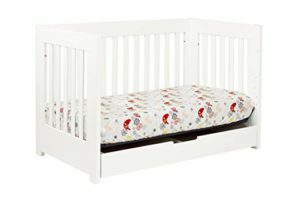 Do Infant Mattresses Fit in Traditional Cribs? 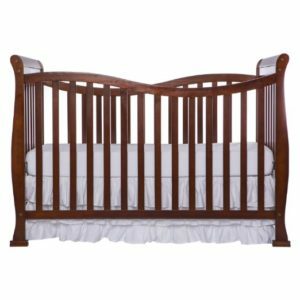 Traditional style cribs are generally one size fits all. They are designed to be used from infancy through toddlerhood. For this reason, if you have a crib that is not portable, a mattress, whether rated for infants or toddlers, will fit in your crib. You do not have to worry about a gap between the mattress and the crib rails. As an added bonus, it also means that they can also work when it is time to move a child into a toddler bed. This makes it even easier to find cheap toddler beds with mattress, because you already have the mattress. Are All-In-One Mattresses Worth It? With the knowledge that crib mattresses are the same size, it should not surprise you that you can purchase a baby toddler mattress combo. 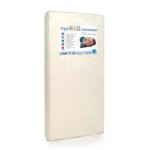 These mattresses are often not much more expensive and they can be purchased before your baby is born. They can be used until your child is ready for a full-sized bed. 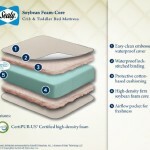 To help you figure out whether they are worth it or not, we have put together our top picks for best toddler mattress. Since 1968, people have gone crazy over a bean bag chair. They are comfortable and conform to the body. Nowadays, though, there is a new trend. It is baby bean bag chairs and while some people absolutely want one for their little one, others are not so sure that it is a good idea. 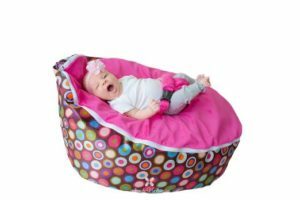 To help you decide if it could be a great item for your newborn or toddler, we have taken a good look at the bean bag chairs for little ones. Just read our Baby Bean Bag Chair reviews below to discover why you may want to get one for your baby. What Is a Baby Bean Bag Chair? A Baby Bean Bag is essentially the same as older chairs. However, because it is designed for infants and toddlers, there are a few features that older bags did not have. 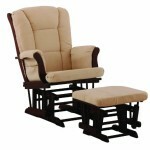 Most all of these features are designed to increase the safety of the chair. For instance, newer bags may have a firmer resting area for the newborn and restraints to keep them from falling off of it. They will be double stitched to ensure none of the balls come out and zippers are locked so that little fingers cannot open them. Even the size of the balls and the stuffing that they are made with are more baby-friendly than the chairs most adults remember sitting in when they were children. The good news is, none of these safety features take away from the comfort level of the child in it. Most parents enjoy having a chair that they can put their little one down in so that they are able to get things done while their hands are free. This is why bouncers and baby rockers are such a popular item. However, bouncers and rockers are not ideal for all babies. Babies who have issues with reflux issues may suffer more in a rocker that lays them further back. This laid back position is also associated with flatheads. 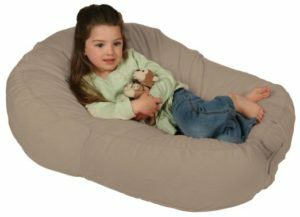 Parents who do not want their child to suffer from reflux or flathead say that the bean bag chairs have helped their infant and toddler. 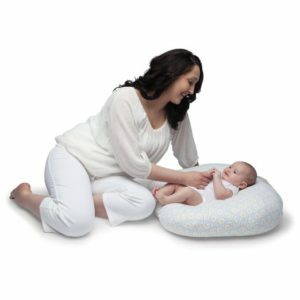 A single glance through their baby bean bag reviews can tell you why they prefer it over traditional baby seat options. We wouldn’t trust our infants to be safe in just anything. Not even just bean bag chairs that look safe. We want to know that the one we are choosing is going to be safe for them. That is why we have searched everywhere to find the bean bags that we felt were the safest and invite you to take advantage of our knowledge by looking at the reviews below. 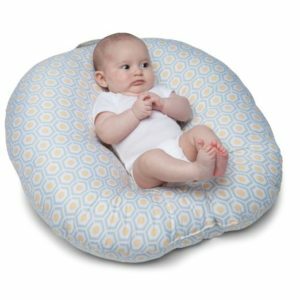 This is the most popular infant bean bag available and ranks in at 4.8 stars after over 450 reviews. It has an easy to carry handle, easy to clean fabric, and easy for the smallest newborn to sit in. The reason it is so ideal for newborns is that it has a recessed interior to hold your baby’s bottom and ensures you will never have to worry about your little one slipping out, even if they are wiggly while in it. This bag is pre-filled and ready to use when you open the package. It is double stitched and overlocked to ensure safety. The inside beans are free to move freely and this prevents flathead, acid reflux, and gas for most babies. It does have a safety belt to keep your infant in place and makes it ideal for overnight trips to grandma’s house. This is a pink bean bag chair that is pre-filled and ready to use. It is double stitched and overlocked to keep little fingers from opening it up. It does have a safety harness to keep them upright and on their back. It can be used for infants and toddlers so that you get many years of use out of it. 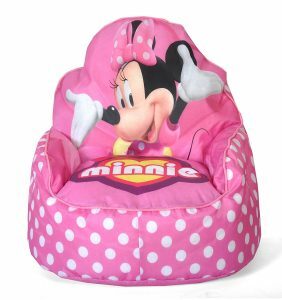 Toddlers who have outgrown their infant bean bag will love this lounger when they are sitting down for story time or watching TV. It is made of 100% polyester and in the USA. It has a center stretch panel so that you can adjust it using the tabs. It has contoured sides to ensure a cozy place for toddlers to relax and works great for other small children as well. 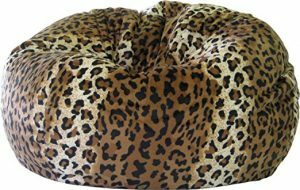 This plush bean bag chair features a cute stuffed animal for children to sit on. There are numerous animals to choose from including giraffes, monkeys, dinosaurs, frogs, and more. Each chair measures in at around 15.8 x 11.8 x 3.1 inches. Your child can read or relax while on this chair and it is safe for all kids that are over 12 months or able to sit completely unassisted with feet on the floor. To clean, you gently wipe with a damped brush. When you want a bean bag that is as comfortable as the traditional ones. You may enjoy this one. It is available in three colors including pink, green, and lavender. All of them have white polka dots so that they are trendy enough for older kids while being safe for little ones. 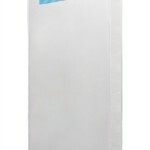 It has a double locking zipper and it is easy to clean with a damp cloth. This is the ideal chair for toddlers. It is lightweight and portable with a polyfill filling. The cover is not removable. You do not have to worry that it will be too hot to be comfortable. 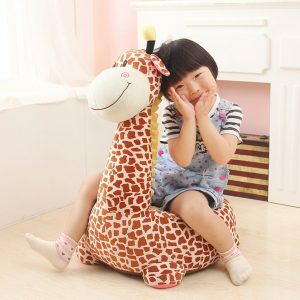 Your child will enjoy sitting on it while they are watching TV or eating snacks. It weighs in at only 1.1 pounds. Some parents say that it is very stiff when it first arrives, but after a couple months it softens up enough for toddlers to enjoy it. This is a small Fuzze Suede bag for children that is great for kids of all ages. It is available in two colors, either cheetah or Bengali Tiger. It is double stitched so you do not have to worry that it will spill its beans out from the seams. It is made in the USA and has a child safe zipper to prevent curious kids from opening it. The filling is polystyrene beans.